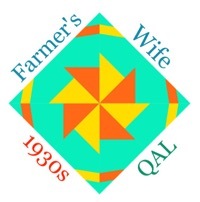 Time for blocks 92 and 93, Sarah and Sonnie in the Farmer's Wife 1930s QAL. 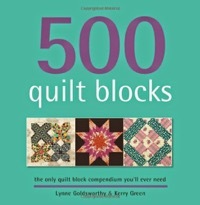 I've had sore hands this week so I've been looking for shortcuts and for Sarah (p.250, letter p.78) I rotary pieced the whole block rather than foundation paper piecing. 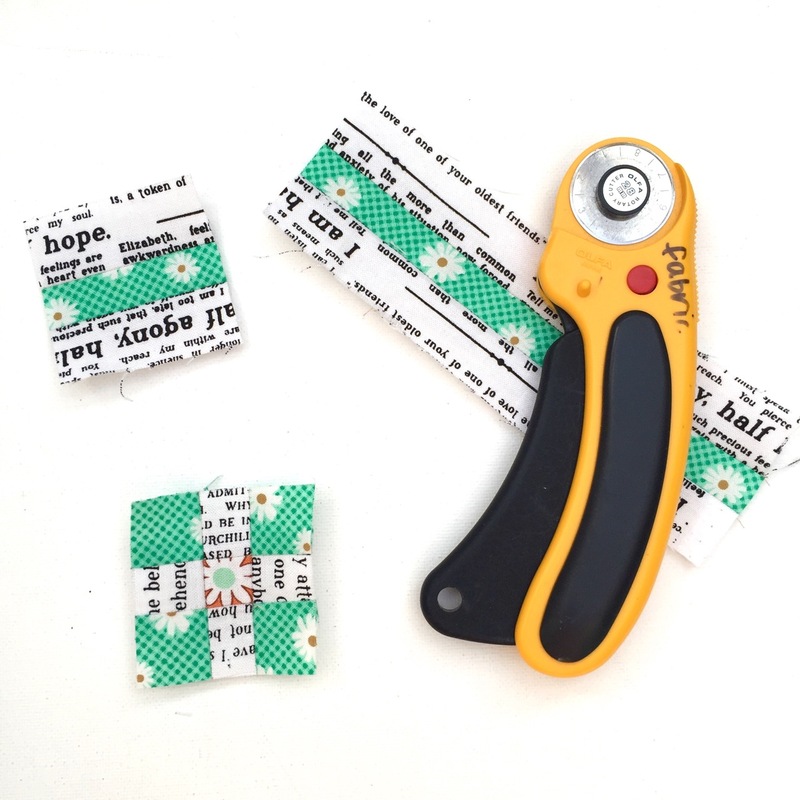 If you want any help calculating flying geese or with different half-square triangle methods, you can refer to my Making a Quilt series for Sewing Directory. 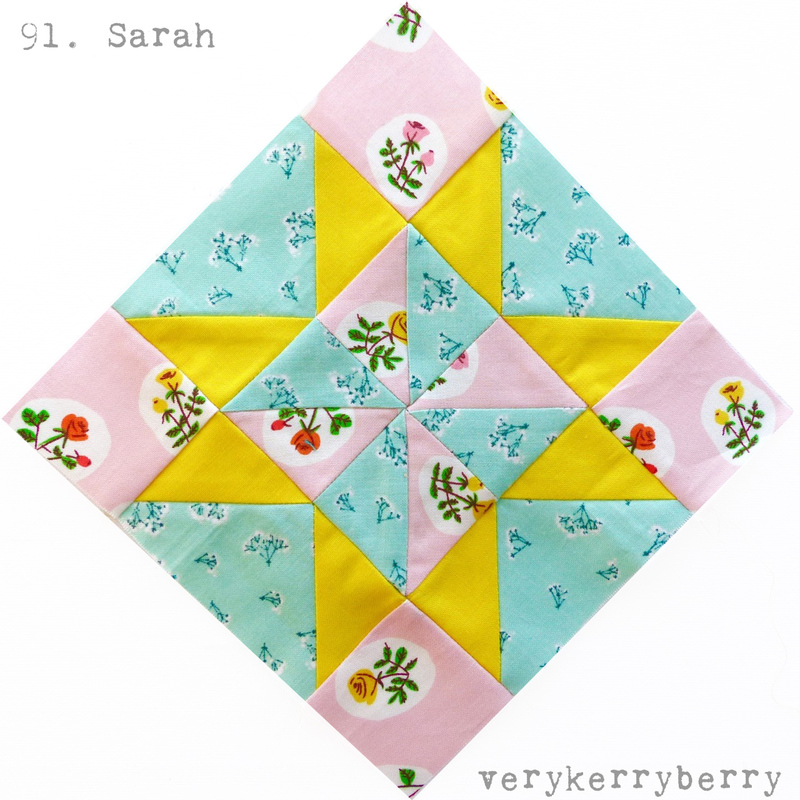 Justine returns for her last guest post and you can read her thoughts on this block, and the quilt along here. 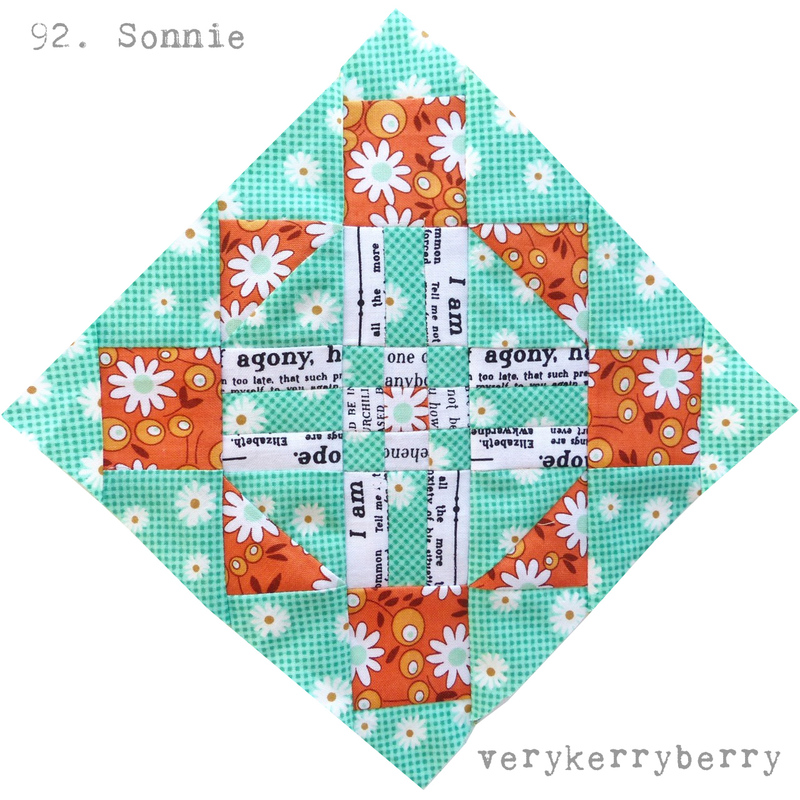 I managed to rotary piece part of the next block, Sonnie, (p.251, letter p139) whilst foundation piecing the rest, details below. There is a brief letter for this block but a sweet one none these, the expression "her sands have run" about the woman's mother having died is so evocative. 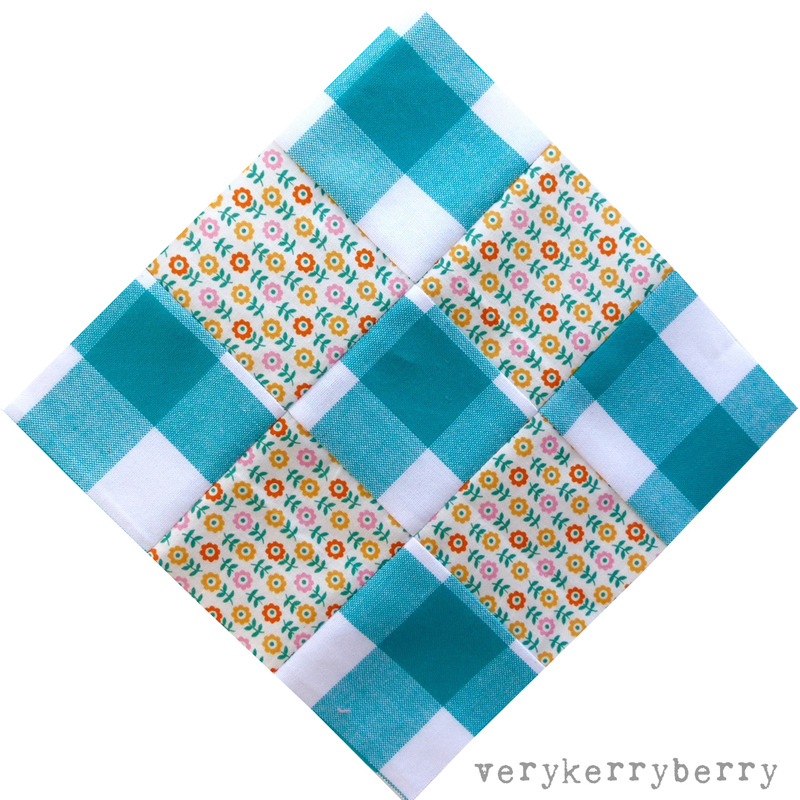 It is possible to make the centre square of this block as a mini nine-patch. I measured the squares from the foundation pattern piecing; they are not a regular measurement I had to cut scant but it worked. I did the same for the rectangle blocks, you do need to be quite precise but it worked well for me. 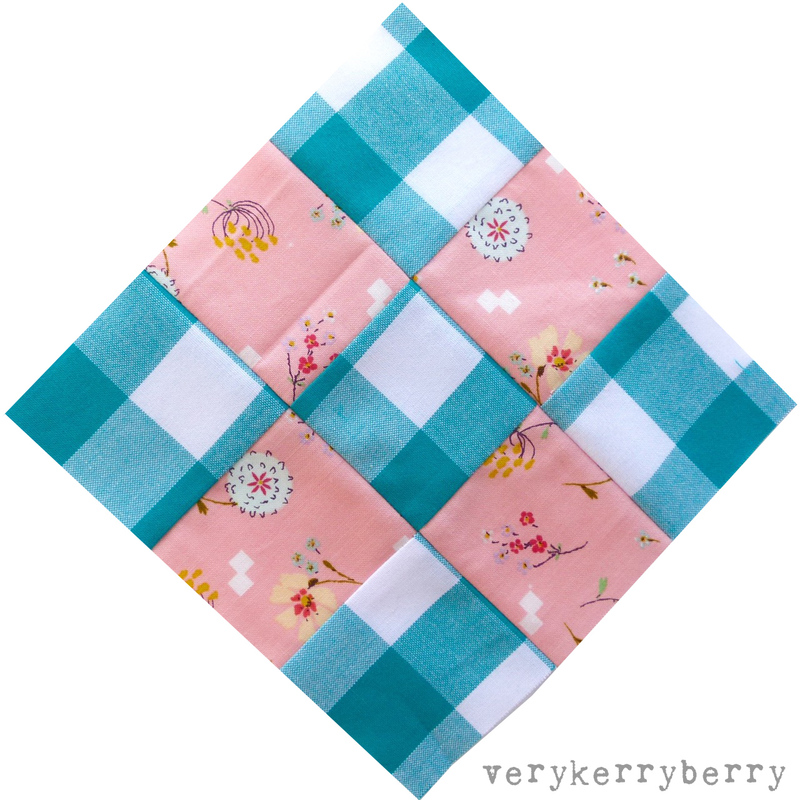 Here are two new nine-patch blocks for my collection, I'm making an equal number of each gingham colour so I was balancing out the jade/turquoise this week. 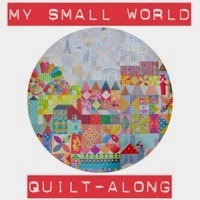 There are 24 in total and I'll start working out how many I need for the quilt I have planned in my head.